Wrongful termination is firing an employee for illegal reasons or by violation of company policy. A wrongful termination settlement is the result of the process––the decision of the court or an out-of-court settlement. What Triggers a Wrongful Termination Lawsuit? Illegal actions. Illegal reasons are violations of law, often anti-discrimination laws. Both federal and state governments have these anti-discrimination laws. Violation of company policy or contract. For example, a company might include something in its policy manual or an employment contract that says a new employee is guaranteed a 60-day probationary period. If the company fires an employee after 30 days, that would probably be considered a violation. If the contract is implied by the company’s actions, an employee might have a reason to file a wrongful termination lawsuit. Retaliation. It’s also illegal to fire an employee in retaliation. Often an employer retaliates by firing an employee for being a whistleblower. For example, an employee informs OSHA (the Occupational Safety and Health Administration) about something the company is doing that endangers employees and the company retaliates by firing the employee. Employers also can’t retaliate against an employee who files a workers compensation claim. When is Firing an Employee Not Wrongful Termination? When an employee is hired, it’s usually considered employment-at-will. In other words, the employee doesn’t need a reason to leave and the employer doesn’t need a reason to fire. Exceptions to employment-at-will include an employment contract or a union contract. Some states also recognize “just cause” or “good faith and fair dealing” principles of public policy when considering whether someone has a wrongful termination case. Companies may do things employees don’t like, but these are not reasons for a wrongful termination lawsuit. For example, unfairness, favoritism, and personality conflicts won’t get an attorney interested in a case. What Determines the Amount of Settlement? Amount of Lost Wages and Benefits. Wages paid to the former employee from other sources may be deducted from this amount, and future wages may also be considered if the employee has been restricted from getting other jobs. The court also looks at costs to the employee from loss benefits, like health care coverage and retirement plan contributions. Amounts for lost wages and benefits can be calculated, based on records of the employer. But other factors are also considered in setting these costs. For example, in setting a lost wages amount, the court often takes into consideration the employee’s willingness or ability to apply for other jobs. Emotional Distress or Anguish. This factor is more difficult to determine because it’s hard to set a specific amount. The psychological effects of discrimination, for example, can be devastating and long term. If the employee is going to a psychologist or other mental health professional, these costs can help determine the value for settlement. Punitive Damages. In some cases, the actions of the company against the employee are especially outrageous or willful. A jury usually sets these amounts as a way to punish the bad behavior of the company. Cost to Former Employee. Legal fees are the biggest costs to an employee filing a wrongful termination case against an employer. Since the typical employee doesn’t have a lot of money for an attorney, the fee may be on contingency, which means that the attorney doesn’t get anything unless the case is won. Then the attorney gets a percentage of the award. This fee is usually around 30% of the settlement amount. If the attorney doesn’t want to wait for the contingency payment, they may ask for a retainer or a combination of a small retainer plus a contingency fee. Using an attorney for a wrongful termination lawsuit means a greater possibility of increased settlement amounts, but also increased costs. Cost to Employer. The biggest cost to companies for this type of case is attorney fees. The company may have other internal costs for the time of employees involved in the lawsuit or who have to create documents and cost estimates. If the company has liability insurance the insurance company usually take over the case. 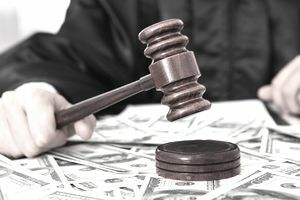 Court costs are usually paid by the losing side in the wrongful termination lawsuit. Even if the lawsuit doesn’t reach a trial, those costs still need to be paid. They vary based on the complexity of the case. One that those considering a wrongful termination lawsuit don’t consider is the long time it takes for the case to be resolved (usually several years) and the mental and physical toll it takes on the parties. Should you start a wrongful termination lawsuit against your employer? This article includes some questions to ask yourself, to see whether the benefits are greater than the costs. Most wrongful termination lawsuits don’t involve a trial because they are settled out of court. That happens because of the high cost in time and money of going to court and the unpredictability of the outcome. Employers are often eager to settle because of the adverse publicity of a public lawsuit. That doesn’t mean they won’t take the case to court if the employee is not willing to negotiate. In many cases, the employer’s insurance company is involved, and they work hard to get the parties to agree to a settlement.